When it comes to visiting Disney World, there are many perks to being a Florida Resident. 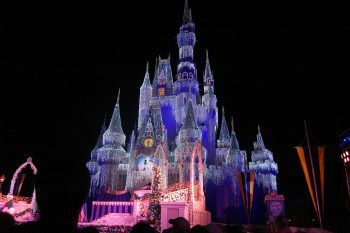 Disney World usually comes out with a special Florida Resident deal every year. They have continued the tradition and now through June 30, 2019. For a limited time, Florida residents can take advantage of a special ticket offer and purchase a 3-day Discover Disney Ticket for only $175 plus tax—valid for admission to one theme park per day! Plus, add a 4th day for just $20 more plus tax! These tickets can be used on non-consecutive days through June 30, 2019 with no blockout dates. For this Florida resident deal, all adults will need to show proof of Florida residency at the entrance to the theme park. Discover Disney tickets are valid for admission to any one of the four Walt Disney World theme parks per day (unless upgraded to Park Hopper Option). Purchase through June 27, 2019. Discover Disney Tickets are valid for use through June 30, 2019 and can be used on non-consecutive days—with no blockout dates. You can make it a long three day weekend or you can spread those three days until June 24th. For more information, please visit Disney World’s website for the latest details. Sign Up to receive our weekly weekend newsletter to get free & cheap things to do in the Tampa Bay Area, right in your mail box. Become a fan on Facebook, Twitter, Pinterest, and Instagramfor daily updates.